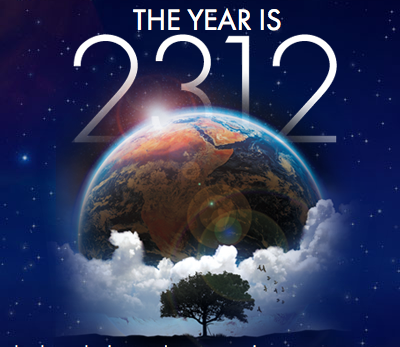 2312 is out, and of course Kim Stanley Robinson is out there to promote it (check calendar on the left). Robinson was interviewed by Space.com: Part 1 (Terraforming the Solar System) and Part 2 (The Future in 2312). Terraforming, public vs private space exploration, Mondragon, genders and body modifications, it's all here. [2312 is] far enough out that it gives you time to think about the differences between now and 1712, if you run it in the other direction. 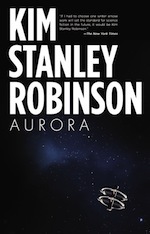 Robinson also reacts in another Space.com article on space exploration and science fiction. "Beyond the solar system' is too far away. [...] It's a joke and a waste of time to think about starships or inhabiting the galaxy. It's a systemic lie that science fiction tells the world that the galaxy is within our reach." Head over to Wired.com and their podcast Storyboard for an hour-long interview with Robinson! Hear about 2312, time travel, Antarctica and the future of humanity in Storyboard 82 (direct mp3 download here). And of course, the reviews are coming! Apart from a review in Locus Magazine, several have appeared online. The real hero of "2312" is human enterprise. There are so many things we could do! Jog round Mercury like the rolling city, dawn always coming up behind you. Use orbiting mirrors to burn the canals back into the surface of Mars and make the Ray Bradbury images come true. Create giant artworks on the surface of Jovian moons. One thing we can't do, in Mr. Robinson's view, echoing Arthur Clarke's, is go star-traveling; even the nearest stars are out of our reach. The solar system is what we've got, and we need to do better with it than we have done with Earth. 2312 is Kim Stanley Robinson's first widescreen, big-budget, blockbuster SF novel in some considerable time. Existentially sprawling, and scientifically fascinating yet completely accessible, I’m reluctant to categorize 2312 as science fiction. Readers of Robinson’s other books also will recognize that the story in “2312″ is set several decades after the events in Robinson’s landmark Mars trilogy. This is the first time the two have met. On May 13, Robinson gave the Commencement Address for the UC Berkeley English Department. A short clip of this apparently very entertaining talk has surfaced on the internet here (despite poor audio quality). Also, during his UK tour in June, Robinson will be appearing with fellow SF writer and friend Iain (M.) Banks (of the Culture books fame) in London. 2312 is now available in stores! The "official site" for the book from Orbit is here. One of the chapters has been converted into a great little animation! Head over there to read and see the recipe on how to make a terrarium! People at Orbit have been blogging on 2312. If you want 2312 wallpapers and 2312 HQ design elements, here they are! 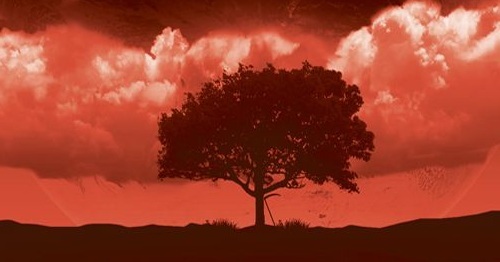 If you want the story behind the design of the cover for 2312, Kirk Benshoff explains it all! If you want to read the first praise the novel has got, here it is! If you want to read the prologue, it's over here! "The sun is always just about to rise." The main story itself, which follows Mercurial Swan Er Hong and Saturnine Fitz Wahram. Lists: KSR has been accused (or praised) of too many infodumps, here he takes that comment and runs with it with chapters that are just that, lists of things! Excerpts: Think of browsing through a scientific journal full of abstracts, only that you only concentrate on small snippets of text. Places: Bodies in the solar system that have been settled by humans. ...and another one that would be spoilerish to reveal here! Many readers of the Mars trilogy will sometimes feel that 2312 takes the solar system of Blue Mars and runs wild with it! The 2312 page on this site is here, where I will link to all reviews and related material as they appear. You can leave your own review in the comments there! The 2312 MangalaWiki page is here. Stay tuned as the 2312 promo tour kicks in full gear! Read more about 2312 is out! In less than a month, Kim Stanley Robinson's next novel 2312 is being released! May 22 in the USA and Australia, May 24 in the UK. Get ready for a wild ride in the solar system! SDG: What drew you to the “collage” structure? KSR: The book was clearly going to have a big information load, and as I was planning it, Jerad Walters of Centipede Press asked me to write introductions for new editions of John Brunner’s novels Stand On Zanzibar and The Sheep Look Up, classics from 1968 and 1973. I agreed to do that, and rediscovered the way Brunner had portrayed a complex global culture, which was by adapting the technique invented by John Dos Passos for his great U.S.A. trilogy of the 1930s. So I finally actually read the Dos Passos trilogy, which had been sitting on my shelf for thirty years, and I was amazed at how good it is—truly one of the great American novels. I decided to follow Brunner’s example and adapt the Dos Passos method, which in essence is a weave or collage of different kinds of writing, including songs, newspaper articles, stream-of-consciousness passages, impressionist pocket biographies of famous Americans, and so on. My lists, extracts, planet biographies, and quantum walks are my variations on the Dos Passos technique. I’ve always liked lists, and I hope that the lists in 2312 will be seen as a new way to handle exposition, in effect squishing it down to something like word association games, or prose poems. There's another reader review at Mysterious Galaxy and here (some plot spoilers). Teasing the book, Orbit offers a Kindle sampler for their April-May 2012 releases over on Amazon.com, which includes an excerpt from 2312. The Orbit marketing continues to feature 2312 prominently, with a variant of the 2312 artwork featured as the cover for the sampler (picture above). Expect an intense Robinson tour for the promotion of 2312 in the coming months! The first is tomorrow (!) in Robinson's city of residence, Davis, California. Apart from the Rexroth-related events on May 6 and May 15 (see previous article and calendar), there is much more planned. Details and links will be added as they become available. Make sure you follow the calendar! In May of 2012, Orbit will publish my novel 2312. By coincidence, this novel has a bit of a relationship to “Our Town,” in that one of its protagonists is an artist, but instead of the expensive and exploitative art form described in “Our Town,” my character Swan Er Hong practices landscape art and body art, in both cases using “found materials” to make art that speaks to her time. 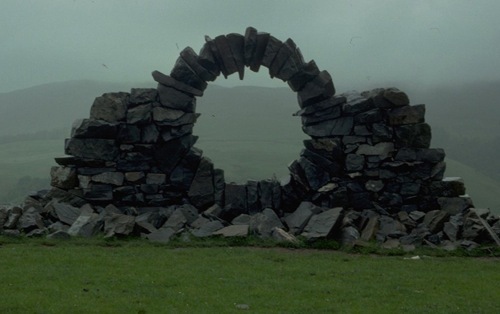 These new art forms are based on the current work of the landscape artist Andy Goldsworthy, and the performance artist Marina Abramovic. They are in effect inventing, or vastly expanding, new genres. This is interesting in itself, a great pleasure to watch, and also extremely suggestive for a science fiction writer. So I guess I’ve come back to a question that “Our Town” explored, as well as my novel The Memory of Whiteness: What will new art forms of the future be like? Their May issue will include an excerpt from 2312. In The Sierra: Mountain Writings has now been released! A work of love by Kim Stanley Robinson, this is a collection of Sierra-themed poems by Kenneth Rexroth, edited by Robinson, with his introduction and notes. 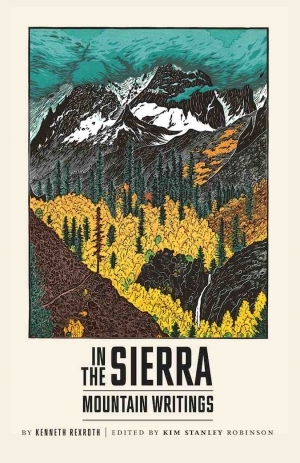 The beautiful cover is by illustrator Tom Killion; the book also includes a 'Rexroth's Sierra' map designed by Robinson and drawn by Killion. The release is by prestigious publishing house New Directions. Two events have been planned so far related to this new release, of course in California.